Preheat oven to 425°F. 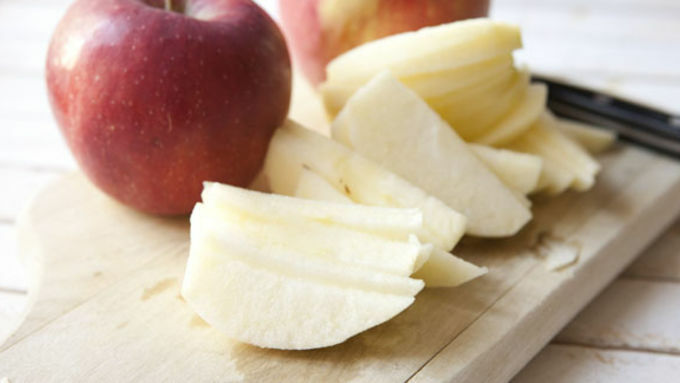 Peel apples, core them, and slice into thin slices. 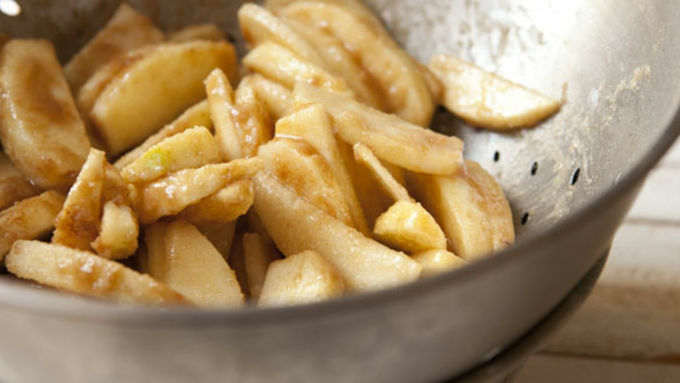 In a colander, toss apples with sugars, cinnamon, salt, and lemon juice. Let drain for at least 15 minutes. 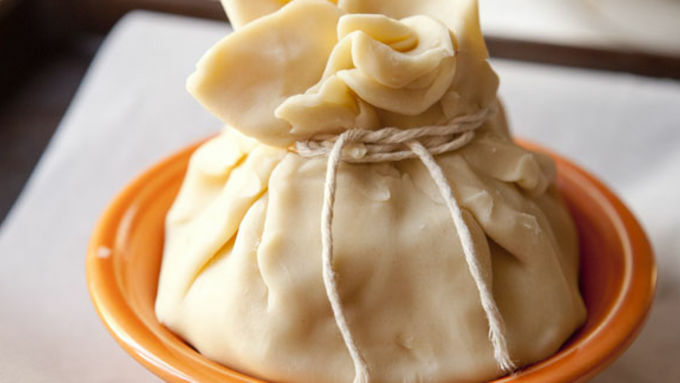 Unroll one pie crust and cut off edges to form a rough square. 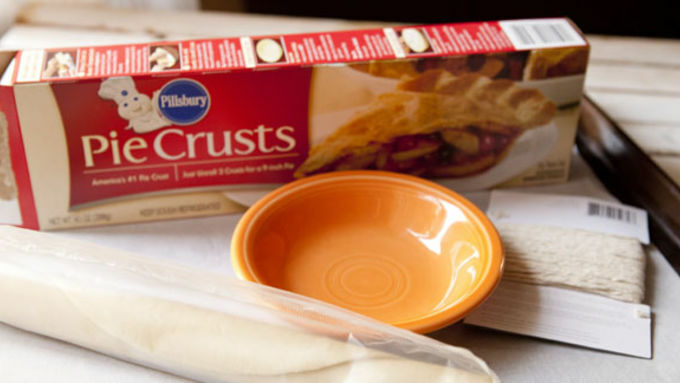 Place crust in a medium-sized bowl. 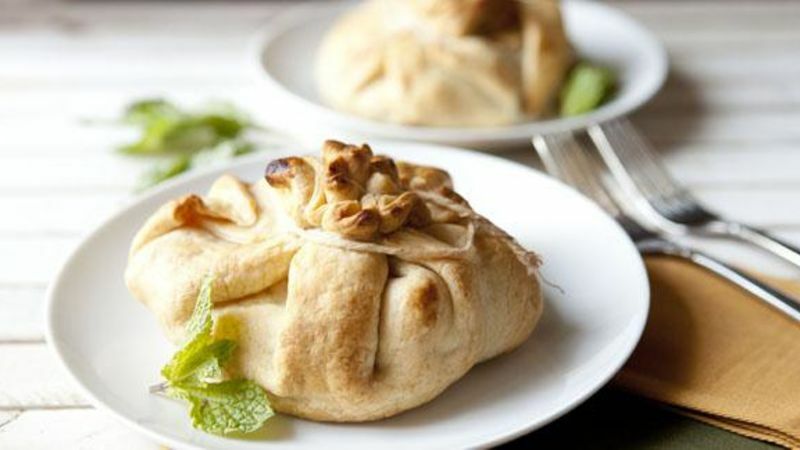 Add half of the apple filling to the center of the pie crust and carefully fold crust up over filling to form a bundle. Tie bundle closed with kitchen twine. Repeat with second pie crust. Place bundles on a baking sheet lined with parchment paper. If there are any holes in the bundles, try to cover them with leftover crust. Bake bundles at 425°F until they are a deep golden brown, about 30-35 minutes. Cool bundles briefly before serving. One bundle will serve two people. 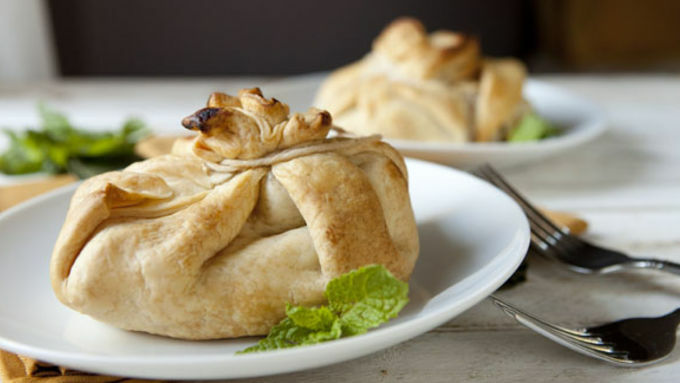 These baked apple dumplings are like mini apple pies – a taste of the season wrapped up like a present. Apple pie has a special place in my heart. It’s just so American. Picking apples, tossing them with sugar and cinnamon and baking them in a flaky crust? Who wouldn’t love that? 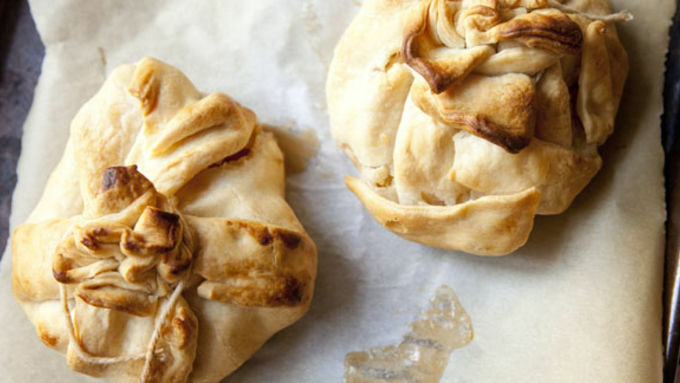 These little Apple Cinnamon Dumplings are a fun take on the classic apple pie. Actually, they aren’t exactly little. Each one of these bundles has a full apple baked inside and can easily be split between two people. One bundle will easily feed two people for a really tasty dessert! Let these guys cool for a few minutes before slicing into them. These are a bit fancy and are really fun to make – they're also secretly very easy. Give these a shot if you are looking for a change from the regular apple pie!